Fine china coffee pot made in Poland by Wawel. 40 fluid ounce capacity (holds five cups). 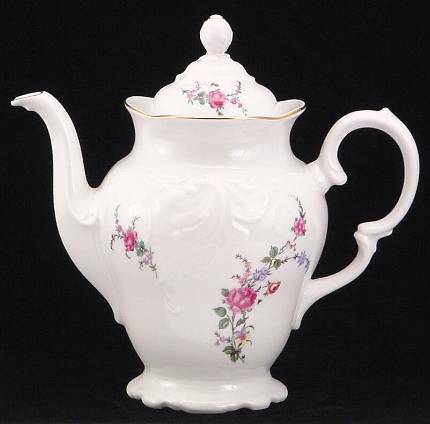 Serve your coffee in European style with this gracefully shaped coffee pot featuring the Rose Garden pattern. Hand-painted with gold trim.